You may have heard already, but yesterday on the 21st August 2017, 14 states across America experienced two minutes of darkness as a solar eclipse moved across North America during the middle of the day. The eclipse took 100 minutes to cross all 14 states, covering a staggering 2,500 miles during that time. 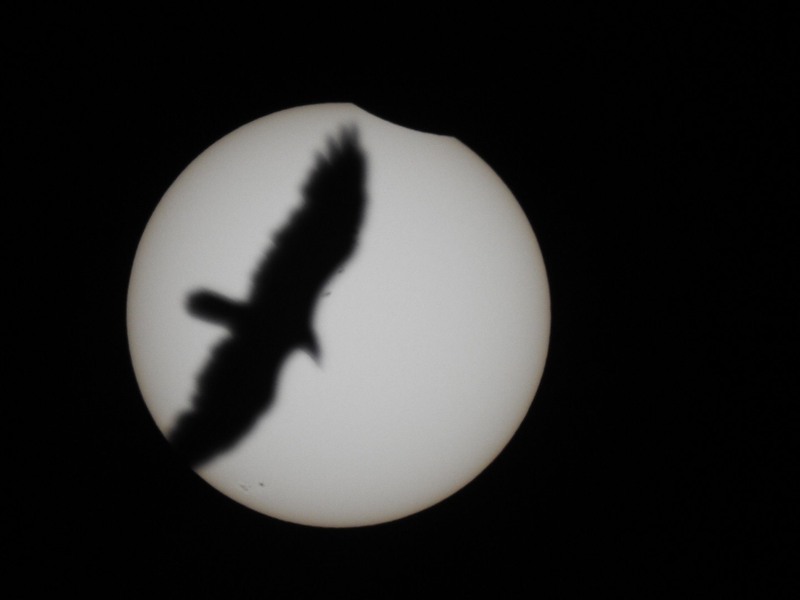 Caused by the moon blocking out the sun the solar phenomenon not only provided scientists an opportunity to study it&apos;s effect on the sun, Earth and moon but also allowed photographers to capture some truly amazing shots. Here we&apos;ve rounded up 17 of the most impressive. 1. Once in a lifetime shot of American Airlines 9661. 2. Amazing photo of totality in Oregon. 3. "Something something I took a picture of the eclipse." 5. The ISS passing the sun as the eclipse is happening. 6. View of the eclipse from an airplane. 7. Looking up in awe. 8. Eclipse diamond shot from Tennessee. 9. Great American Eclipse Diamond ring+. 10. The moment totality hit the Oregon Coast. 12. Composite photo of the eclipse in Oregon. 13. Another one from Sun Valley, Idaho. 14. My photo of the eclipse from Tennessee. 15. My friend just got a 1 in a million shot of the eclipse. 16. The Full Solar Eclipse Over Nashville by Richard Sparkman. 17. "Drove 13 hours to get this shot." 18. Clouds almost ruined this shot, but thankfully it turned out perfect.